Ever have one of “those” weekends, packed with wall-to wall community stuff? They happen every now and then, when each day has some sort of event to attend. Throw in Father’s Day and last weekend for me was definitely one of “those” weekends. Friday night I attended the 11th annual K.W. Lee Center for Leadership dinner and silent auction at the Oxford Palace Hotel in Koreatown, led each year by the stalwart Do Kim and graced by the inimitable presence of 88-year-old K.W. Lee himself. Saturday was “A Conversation With Dave Roberts,” a Tateuchi Public Program Series held at the Japanese American National Museum’s Tateuchi Democracy Forum in Little Tokyo, followed by a trek back west to the Venice Japanese Community Center for my son’s Gym Ratz basketball game. Sunday marked a return to a very hot Little Tokyo to Centenary United Methodist Church to attend and cover the final service conducted by Rev. 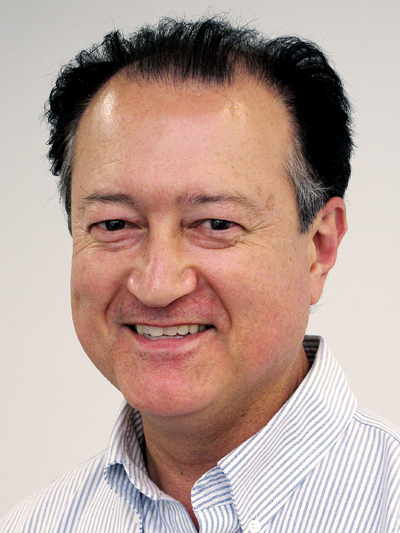 Mark Nakagawa, who after 16 years as the pastor, is moving up and on to a new post in the church’s hierarchy. Everything was fun, but it was a lot to pack in over three days. Looks like this weekend will be another one of “those” weekends, too, and I’m sure it’ll be a similar situation for many others in the Japanese American community, with several events all taking place the same weekend. There’s the San Fernando Valley Buddhist Temple Obon, the Gardena Valley JCI Matsuri, the Venice Japanese Community Center Summer Festival, the V3 Digital Media Conference at JANM in Little Tokyo on Sat., the Long Beach Japanese Cultural Center’s Summer Festival and the West Covina Obon Festival, all of which, with the exception of the Long Beach event, will have some sort of Rafu Shimpo presence. I’ll be spending a good part of the weekend trying to drum up some subscriptions to The Rafu Shimpo at the VJCC Summer Festival, in addition to some other volunteer obligations. So, if you should attend any of the aforementioned events (and you should! ), be on the lookout for a Rafu Shimpo booth or table and drag along a friend who isn’t a subscriber (or is a lapsed subscriber) and urge them to become one. You won’t walk away empty-handed, as there will be some recent copies of the paper to be given away. At the very least, come by and say “hello” and chat a bit. George Johnston at Tower Records in Shibuya. No Music, No Life Dept. : Japan has many shrines and temples worth visiting, but on my most recent trip, I made a pilgrimage to a shrine of another sort. If you’re older than, let’s say 40, you can remember something called a record store. While there are a few record stores to be found if you look hard enough — kind of like a pay phone — the record stores of just a few years ago have mostly gone the way of the dodo. Along with my sister, June, I went to the Tower Records in Shibuya. I purchased three compact discs (yes, actual physical media! ), all by the same band, Heatwave. I already had that band’s debut album on vinyl and CD, purchased decades ago, which contained the hits “Boogie Nights” and the timeless “Always and Forever.” In retrospect, Heatwave was a terrific outfit — strong R&B and soul grooves but even better ballads. While some of its genre’s peers — say, Earth, Wind and Fire, Kool & the Gang or Chic — are still well-regarded today, Heatwave doesn’t appear to have the same recognition. But the band’s music deserves it. Formed by Dayton, Ohio-born Johnnie Wilder Jr. as a former serviceman stationed in Germany, the band had a some really strong attributes: the vocals by Wilder, especially his sublime falsetto, and his brother, Keith Wilder; great musicianship; and what may have been the band’s secret sauce: the songwriting and arrangements of Rod Temperton. Part of the reason for the band’s fall into comparative obscurity are no doubt in part due to a 1979 car accident that left Johnnie Wilder paralyzed below the neck. He died in 2006. Also, musical tastes changed and the disco wave that propelled Heatwave was pretty much over by the early 1980s. One of the CDs, “Central Heating,” is available for digital download via Apple’s iTunes Music Store and for purchase as a CD with Auto Rip from Amazon. The other two albums I purchased — “Hot Property” and “Candles” — are unavailable via iTunes, but can be purchased as CDs via Amazon but are imports. So, back to Tower Records, there’s also a recent documentary, “All Things Must Pass,” that tells the story of the rise and fall of the once-mighty record store chain. Directed by Colin Hanks (yes, the son of Tom Hanks), the doc relates the rise of the Sacramento-born store that had the Midas touch in San Francisco, Los Angeles, New York and Tokyo, riding wave after wave of music and technology trends. But things went bad in a combination of poor business decisions and the rise of digital music piracy. In 2006, like many other vaunted record store chains had already done or would soon do, Tower Records closed its doors in the U.S. Almost inexplicably, however, Tower Records remains strong in Japan, from which Tower’s slogan “No Music, No Life” came. Toward the movie’s end, founder Russ Solomon is seen at the Shibuya store, greeted by Japanese staffers. 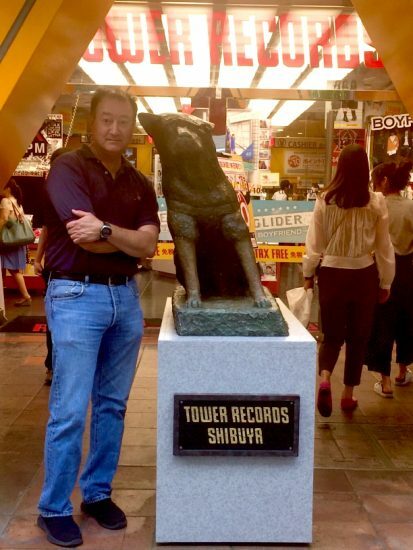 You can see how happy he is to be in an actual Tower Records store, even if he had to go to Japan to do it. In an ironic twist, the digital onslaught that helped bring down Tower Records is also how I watched “All Things Must Pass” — I watched it on a smartphone app called Hoopla. If you’re already a member of a library (I have library cards for Los Angeles, Los Angeles County and Santa Monica), you just need to download the Hoopla app, input your library card account’s info and you too can watch “All Things Must Pass” for free. 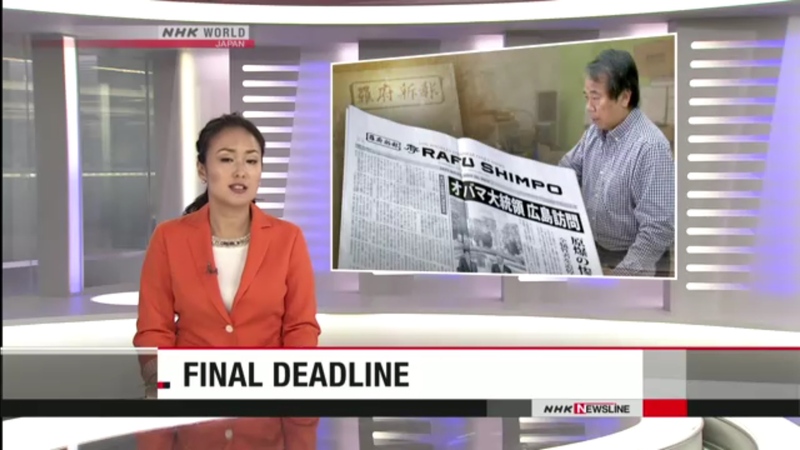 The NHK report on The Rafu Shimpo includes an interview with publisher Mickey Komai. NHK Covers the Rafu Dept. : Just FYI, in case you missed it when it aired Tuesday on NHK World (available locally on digital channel 28.4), you can see its reporting of The Rafu Shimpo’s status quo on its website, http://www3.nhk.or.jp/nhkworld/. But to make it easy, you can go right to the story at http://tinyurl.com/z8utg8m. All the more reason to consider subscribing!